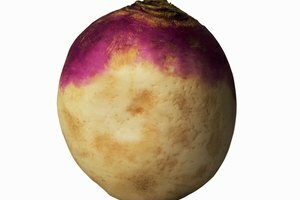 Turnips are root vegetables with tough outer skin that can be difficult to remove, thanks to their uneven shapes. This also makes them prone to wobbling as you try to peel them. 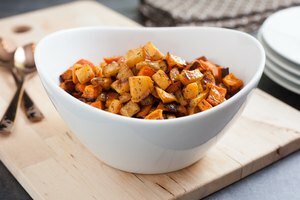 To do this without the risk of your peeler slipping and potentially cutting yourself, you need to give the vegetables more stability. 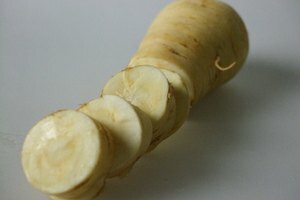 Not only will this make the peeling process safer, it can help prevent you from inadvertently removing large pieces of the turnip flesh along with the peel. Place the turnips under cool running water and scrub them gently with a nylon or plastic scrub brush to remove any outer grime. Rinse the turnips thoroughly, then pat them dry with a clean paper towel. Stand a turnip up so it rests on the flat, stable bottom. Position a vegetable peeler at the top of the turnip and drag it down the length of the turnip. Continue the dragging process with the vegetable peeler on the other areas of the turnip until all of the outer skin is removed. Repeat with the remaining turnips, then slice or chop them. Prepare them as desired. Transfer the greens from the top of the turnip into an airtight container after you remove them. Keep them in the refrigerator for approximately one week---boil or prepare them like you would for cabbage, spinach or other greens. Always wait until you’re ready to cook turnips before you peel them; peeling them ahead of time can make the turnip flesh bruise and spoil.